Why Would a Practice Move its Office? During the course of a career, it is common for a dentist to move at least once. This is an inconvenience for the patients and an expense for the dentist. Why would a dentist decide to move his office? There are several possible reasons for a move. Sometimes a move is out of the control of the dentist. This would be the case if he had a landlord who had decided the building’s purpose was to be changed. The dentist would have to locate elsewhere. Most of the time, for a dentist to move, there have to be some significant expected gains from the move. Likely the most significant reason to move is to get more usable space. Typically, a practice starts out small and grows over time. After a number of years, there are often not enough treatment rooms to accommodate the number of patients that have to be seen. Another reason is need to accommodate new technology. New technology often takes up space, and in a traditionally-sized treatment room (10’ x 10’) there is not much space for anything but the most basic equipment unless it is piled up in out of the way places. The offices of years ago had no TV’s, no computers or computer screens, no camera equipment, and often not even a dedicated x ray unit in each room. Things have changed. Sometimes, a dentist will move to accommodate more dentists moving into the clinic. This type of arrangement often shares some space like the waiting room area or wash rooms and only the treatment area itself is the dentist’s own area. This can reduce expenses and make things like parking more convenient for patients. However, more usable treatment space is usually the reason to move. I have known dentists who have moved because they no longer want to be in a certain area of town preferring instead an area closer to their homes or the homes of most of their patients. I have known others who have moved because they want to have a really fancy waiting room or entrance way, but these fellows are not the regular moving crowd. One of the questions you might have when the office of your dentist moves is, “How much is this going to cost me?” In Ontario, we have a voluntary fee guide system. Many dentists use the fee guide for most if not all of their charges, but they are not obligated to use the fee guide at all. As described in an earlier article, the fee guide is voluntary. There are not set fees in Ontario. It is my experience that the fellows I have known who have moved have not passed their moving costs or construction costs on to their patients. However, if you have questions about the possibility of costs of a new facility finding their way onto your bill, you should ask your dentist if his fees are changing or will change due to the move. But you shouldn’t assume they are going up because at least in our region, that is usually not the case. Usually the dentist and staff have wanted to move for a long time before the move actually takes place and if you ask why it is happening, you might get to see a lot of enthusiasm. 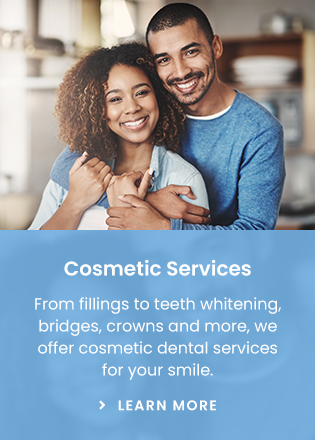 Of one thing you can be sure, and that is that the dentist is quite sure you are going to benefit from this move and is going to a lot of trouble and expense so that you will get those benefits. If your dentist decides to move, and you want to know why, make sure you ask.